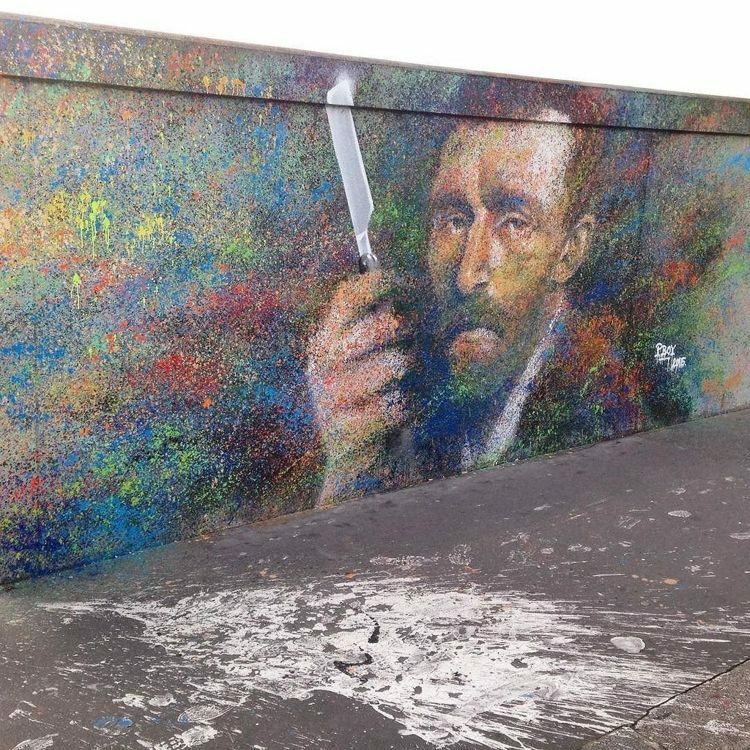 Boyart had nothing to lose and everything to gain, and looking back, he wishes he would have done it sooner. 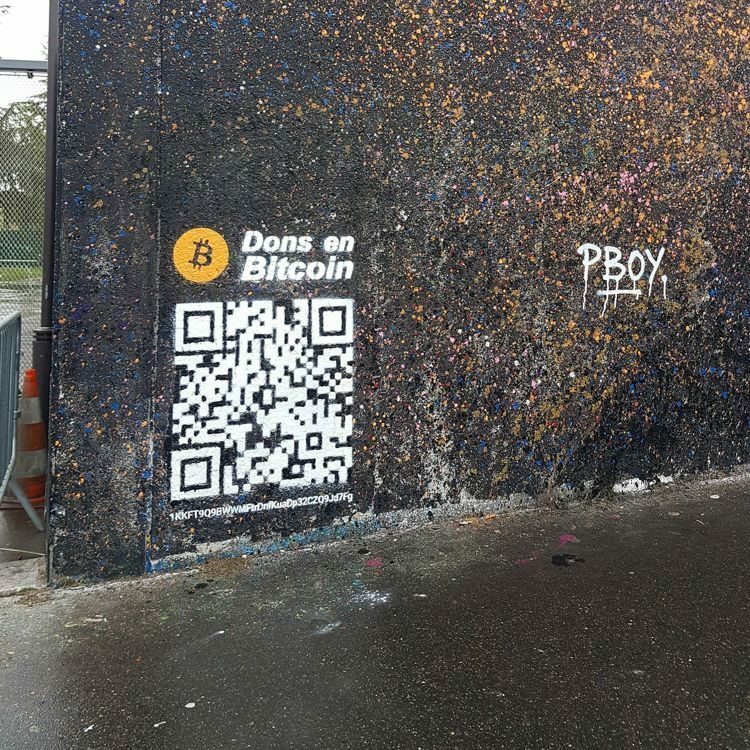 The French street artists first heard about Bitcoin in 2014, but like so many others, he didn’t really understand what it really was, thinking of it as just an alternative to PayPal. It was in May of last year, when everyone started talking about Bitcoin, that he started learning more about it. 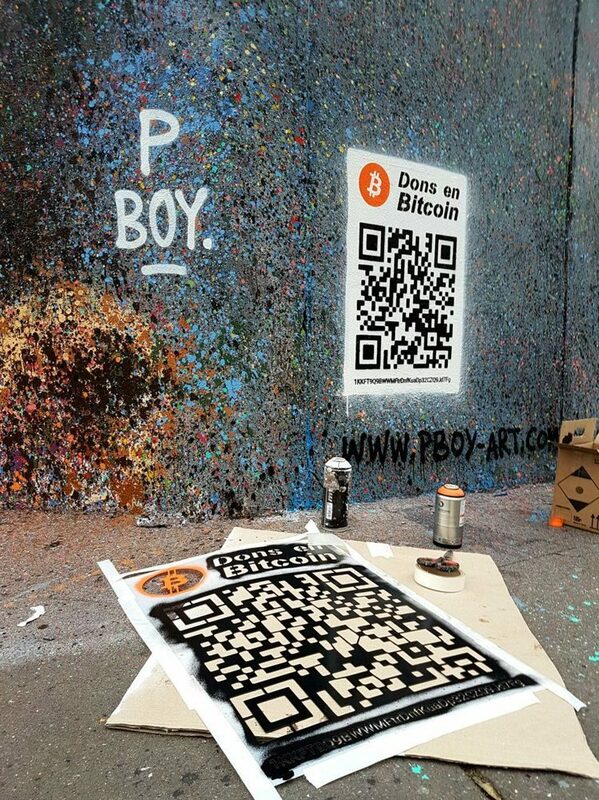 Artnet reports that PBOY took six month off from painting just to study cryptocurrency, and then started incorporating it in his art. 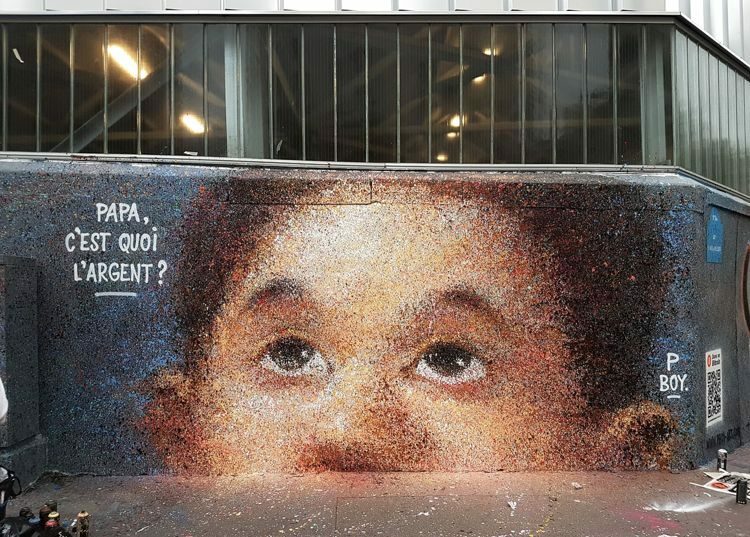 All the young artist needed to do was order a laser-cut QR code stencil and spray-paint it next to his beautiful murals, and people started donating to him. So far, he has received 0.11 Bitcoins (over $1,000), but as more and more people get into cryptocurrencies, it’s safe to assume that donations will increase as well. 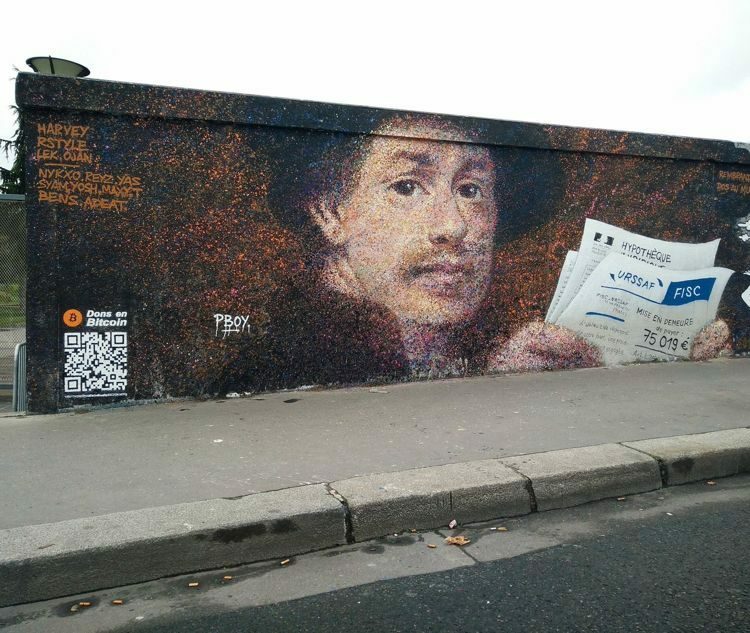 In case you can’t make it to Paris to see PBOY’s murals firsthand, you can still show your support by scanning his cryptocurrency QR codes on his website. Apart from Bitcoin, he also accepts Etherium and Litecoin.